Canadian actress Kelly Rowan who starred on FOX's Newport-set teen soap "The O.C." 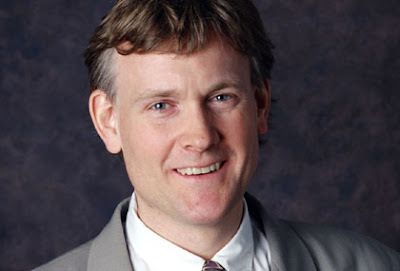 as Kirsten Cohen is engaged to billionaire David Thomson, the richest man in Canada and 10th richest man in the world. Ottawa-born Rowan, 41, met Thomson, 50, while working in Toronto last year. He has already been married twice and has three children. Thomson is the owner of family business that recently acquired Reuters news agency and is worth over $22 billion. He stunned his second wife, Laurie Ludwick, by serving her divorce papers last year just hours after she'd checked out of the hospital where she'd given birth to his third child, the company's designated heir. Model-turned-actress, Rowan guest starred in many TV series over the years (The Outer Limits, Growing Pains, Dallas, CSI) before she found fame in "The O.C." in 2003. For her role as recovering alcoholic Kirsten Cohen, who was married to Peter Gallagher's character, Rowan won a Prism Award. Labels: Kelly Rowan, The O.C.